Igo My Way | Blog. New York City was eaten by the blizzard on Jan. 23, 2016. When people were encouraged to stay inside their home, I went outside to depict the natural forces. As the Travel Ban was imposed at 2:30 p.m., cars disappeared from the streets of New York. Subway stations were buried under the snow. New York Sanitation Department did its best to clean the streets from snow during the blizzard. The city was eaten by snow. Nothing will stops New Yorkers from enjoying their routine. Want to See Your Name on the Big Screen?. 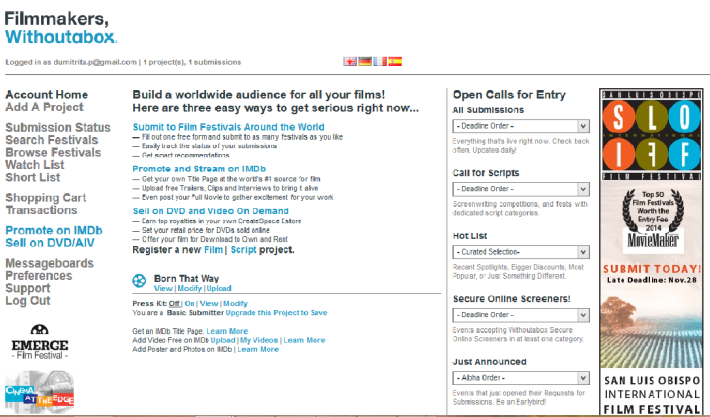 Should You Use Online Film Festival Submission Platforms? Today, as promised before I will talk about online film festival submission platforms. I will try to give you an insight on how they work and let you know why I prefer them or not, why I chose to make them part of my experiment. I got introduced to online film festival submission platforms when the senior programmer from Frameline 38 San Francisco LGBT International Film Festival, Peter L. Stein said that I need to submit the short documentary through Withoutabox and if I don’t have an account there I should do one ASAP. I set up an account and I was surprised at how much detail goes into it, half of it was gibberish to me. 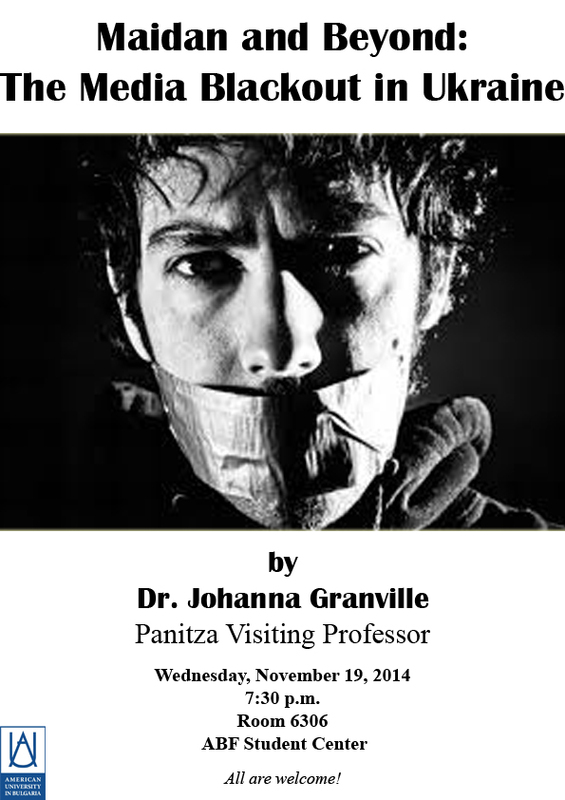 The Bubble (news show created by students at the American University in Bulgaria covering news on and off campus) received an email from Panitza Visiting Professor Johanna Granville saying that the even she’s organizing on campus “MAIDAN AND BEYOND: MEDIA BLACKOUT IN UKRAINE” will be closed to ALL AUBG student media except one AUBG DAILY. We decided to find out what happened and why she is limiting AUBG student media. For this week’s post I interviewed Toma Tetimov, an employee of the American University in Bulgaria. Toma had an adventurous life so far and agreed to share it with me. He’s also one of the people that I regularly saw on campus and felt like learning more about. A New Music Video I shot for the AUBG Dance Crew! So very proud of these guys. Do you know how to get to the cross in Blagoevgrad? Are you curious how did AUBG_Bubble crew get to old NYC and Ancient Rome? And what is worth visiting in Vienna? Find out all these and much more in the next episode of AUBG_Bubble. REMEMBER: If you want to win a special AUBG travel mug or a cool Frisbee, share our latest episode on Facebook. Who knows, maybe you will become the next winner? I have recently created a website to expose my work – both digital and film photographs. There’s also a section for video that I will be updating soon. The site is running in TEST now. Would really appreciate if you leave some feedback here in the comments or email them to contact@igomyway.me .